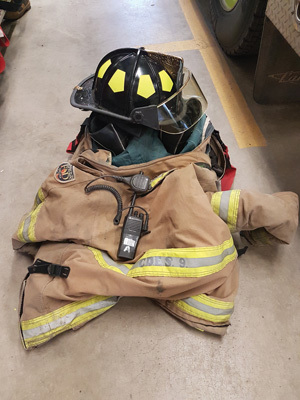 Coaldale RCMP are looking for information regarding the recent theft of Coaldale firefighter’s protective equipment. Sometime between the evening of Friday, May 11, and the morning of Saturday, May 12, someone broke into the garage of a Coaldale and District Firefighter. The firefighter was on call that weekend, and had parked a Coaldale Fire Department truck in his garage with the equipment inside. The culprit(s) broke into the garage, and stole from the truck; a set of bunker gear, boots, one black helmet, one Motorola radio and some assorted tools. The Coaldale RCMP asks that anyone with any information on this break, enter and theft to please call the Coaldale RCMP directly at (403) 329-5080 (rural) or (403) 345-5552 (municipal). If you have information but wish to remain anonymous, you can contact Crime Stoppers by phone at 1-800-222-8477 (TIPS) or online at http://www.tipsubmit.com.